Archaeologists are seeing the Maya culture in a whole new light thanks to an emerging technology that has identified countless new buildings that had been hidden for centuries. It’s called LiDAR, and it digitally removes the tree canopy from aerial images of the ruins. It has exposed thousands of former homes, palaces, elevated roads, urban centers, complex irrigation systems and other signs of advanced civilization in the jungles of northern Guatemala. The 800-mile stretch that was mapped is considered one of the largest data sets ever obtained for archaeological research and a major breakthrough. ASU Now turned to Michael E. Smith, a professor of anthropology in the School of Human Evolution and Social Change, for answers. Smith, an archaeologistSmith is the director of the Teotihuacan Research Laboratory. specializing in Teotihuacan and the Aztecs of central Mexico, says LiDAR has the potential to provide major insights, but he thinks researchers should do a little more digging and not give in to the hype just yet. Question: In a nutshell, tell us how LiDAR technology works? Answer: LiDAR is an abbreviation for a remote sensing technique called “light detection and ranging.” It is a method to create visual images of the Earth’s surface from the air. A device in an airplane sends pulses of laser light to the ground. The beams are reflected back to the device, and differences in how they are reflected and received can be used to create a digital three-dimensional image of the ground area. It is a precise method, and its big advantage is that LiDAR can penetrate some kinds of forest vegetation. This is important for Maya archaeological sites, since much of the Maya region is covered with tropical forest vegetation. A normal photograph or video from a plane will show only the treetops, not the archaeological features. Q: Do you see this as a breakthrough for archeology and your work in the field? A: As I explain in my blog post on the new Maya LiDAR finds, the technique has the potential to lead to breakthroughs, and in some cases those advances are starting to appear. Once the results are in, it is relatively easy to make attractive-looking maps of the ground surface. But the true value of LiDAR is not just the pretty maps, but the fact that the results can be analyzed to get far more detailed and interesting results. The trouble is that it takes a long time to get to that stage. It takes a lot of computer processing by experts, and it takes lots of staring at images on the computer screen. The reason I am skeptical about the new Maya results is that this particular study is only at the stage of the pretty maps. Once the hard work has been done, we may get better figures for the size of the Maya population, and better information on their houses and agricultural fields, things that are very time-consuming for archaeologists to reconstruct with traditional methods. Q: In addition to discovering ancient ruins and give us insights from the past, how would this technology help us to look into our future? A: The results of LiDAR analysis can be helpful only after the hard work is done and we have more detailed data. Here is an example: Drinking water is a problem for humans living in tropical forest environments. While it may rain often during one season, the rest of the year there may be little rain at all. The Maya area has very few rivers and lakes. How did people gather and store enough drinking water? My ASU graduate student Adrian Chase analyzed LiDAR data for the great Maya city of Caracol. After a lot of programming and staring at the screen, he succeeded in identifying many small, household-level water ponds or reservoirs. The number and extent of these small features was not well known before his analysis. How does this help us look into the future? As people try to design methods to live in rainforest environments in the tropics, we can look at the example of how the Maya — a complex, urban society — were able to do this. While the solutions the Maya came up with may not be the precise solutions we need today, they can give us insights on the range of ways people have thrived in difficult environments in the past, and help us come up with ideas that we can use in the future. Q: Is the hype and publicity given to the Maya LiDAR findings warranted? A: Yes and no. Yes, in the sense that these data have tremendous potential to contribute to our knowledge of the ancient Maya. They can revise our figures for Maya populations, for their farming systems, their housing and domestic organization, and other topics. But right now, these things exist only as potential results, not as actual findings. So that is the “no” sense of my answer. Right now, with the available information, we have no greater understanding of the Maya. That will have to wait until the hard work gets done. The LiDAR data have to be ground-truthed (checked on the ground), processed by computers and analyzed carefully. It is significant that these finds are reported by the National Geographic Society, an organization whose interest in publicity and spectacular claims often takes precedence over their interest in solid scientific results. Many public announcements of archaeological findings are based on technical articles published in peer-reviewed journals. That is a sign that there has been a real advance, sanctioned by colleagues and journal editors. The new LiDAR finds have not yet been published in a peer-reviewed journal, because they are still preliminary. Another feature of the hype that comes from an organization like National Geographic Society is that the finds are announced as if they were the first time anyone though to apply LiDAR to the Maya area. But in fact, archaeologists have used LiDAR in other parts of the Maya zone for seven or eight years now. Students often graduate college and never look back. 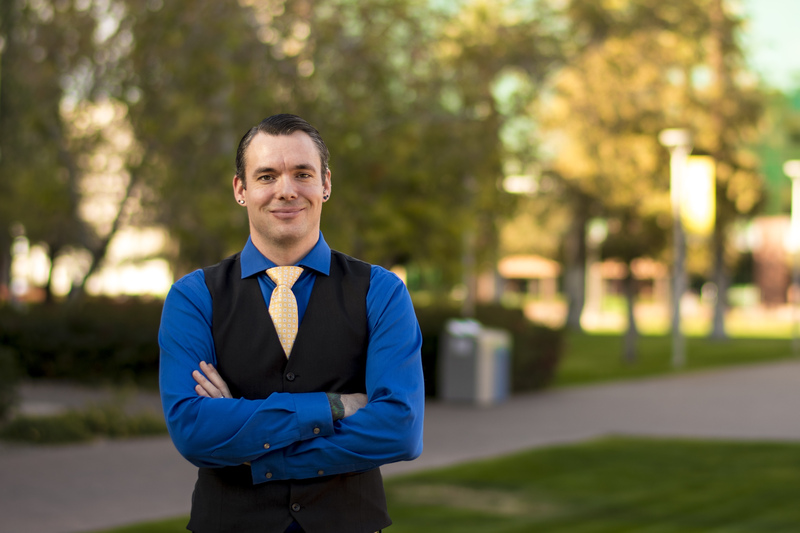 Micah Wimmer, however, who will soon be a triple Arizona State University alumnus, knows what it’s like to struggle as a student, an experience he intends to change for current ASU students. Now a chemistry instructor, he hopes to use his diverse exposure to life on campus by uniting existing communities and inspiring progress across the College of Liberal Arts and Sciences and the university at large. Wimmer’s involvement in the chemistry program trained him to become an independent thinker and researcher and prepared him to work in a team environment, skills that make him an asset to the Emerging Leaders program in the college. Part of the Dean’s Council at the College of Liberal Arts and Sciences, the Emerging Leaders are a group of inspired alumni coming together to improve the ASU community. Wimmer became interested in the program when he noticed how much its members care about the college and improving the experience for current and future students. Wimmer and the other Emerging Leaders are currently coming up with new ideas and programs to integrate the community and the College of Liberal Arts and Sciences. The desire of bringing together academic and outside communities is a passion of Wimmer’s. “I am hoping to be a community leader,” said Wimmer. “I want to make an impact on the community and work to make academia not only better, but help the transition from academia into the business world." Wimmer hopes to unite graduating students and businesses, as he recognizes the generational gap creating a disconnect between the two groups. The combination of academic training from his years as an undergraduate and PhD student, and the business skills gained from his MBA will prepare Wimmer to serve as a channel connecting the two platforms. As he finishes his MBA, Wimmer continues to juggle multiple projects toward his vision for a future of unity between the university, its students and professional communities.